Ahead of the work-in-progress rehearsed reading of Displace at Belltable on Wednesday, June 23rd, at 8pm one of the actors who will help bring the piece to life Georgina Miller wrote about the piece. Hi, I’m Georgina Miller, and I am one of the actors taking part in the public reading of Displace in Belltable on 20th June. I was thrilled to be asked, as it’s a powerful piece with a story that is so relevant and touching. Good writing is not easy to come by and, as an actor, this play is a gift. The two story-lines, each with their own inherent drama, compliment each other really well. Set in two different times in the same building in Limerick – a Magdalene Laundry in the 1950s, which has been converted in the present day to a Direct Provision Centre. The struggles within masked by its walls are as heartbreaking today as they were in the laundry days. To my shame, I knew very little about the process and conditions for asylum seekers here in Ireland. I think Katie O’Kelly has done a wonderful job of presenting the reality of their day-to-day existence. She’s also breathed real life into the whispered stories and headlines of existence for women in the Laundries. I know sometimes it can turn people off when you say that a piece of theatre is important, but this one truly is. We can’t shy away from the horror of our past, nor be ignorant to the failings of our system in the present. That said, the play is also warm and light-hearted in places, and the authentic female relationships and companionships are brilliantly represented. I’m a mum of two small kids and, for me, it’ll be interesting to see how that experience informs my connection with this work. Both women in the play are dealing with their difficult circumstances whilst having the responsibility of another small human to consider. The role of a mother is a complex and challenging one at the best of times, and these women are forced to carry that out under extraordinary conditions. Katie has written a remarkably accomplished and engaging piece—it had me in tears on my first reading, and I’m really looking forward to seeing and hearing the audience’s reaction to it on the night. 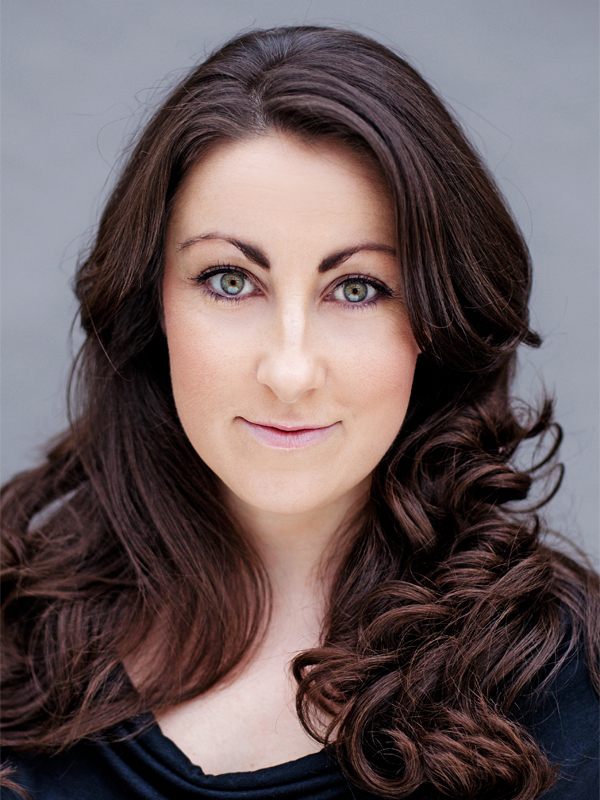 Georgina has been working as an actress for fifteen years across theatre, TV, film and radio. She is also an experienced and busy voice-over artist. Displace is being developed as part of Katie O’Kelly’s artist in residency at Belltable, supported by Limerick Arts Office. This reading marks World Refugee Day. To book tickets for the work in progress reading of Displace at Belltable on Wednesday, June 20th, at 8pm phone box office on 061 953400, ext 1 or visit our website.